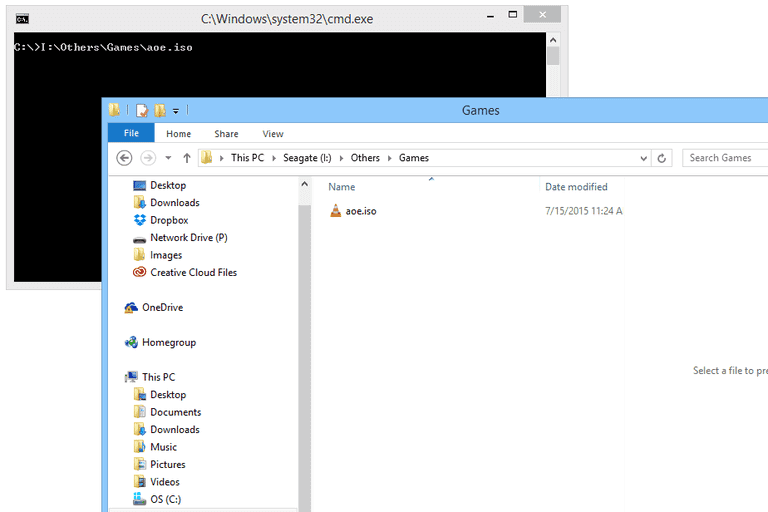 Command Prompt Tricks: Have you ever used command prompt ? If yes, then you must be felt it like old fashioned thing. However you can easily work on windows without using run box but command prompt is that thing you can never run away from. Command prompt is underrated because of its UI and complex commands which anyone want to ignore because they can access to different settings or navigate to any location in your PC customize. But trust me, Command Prompt Tricks can make your most of work easily and you will enjoy working on command prompt tool with CMD Tricks. 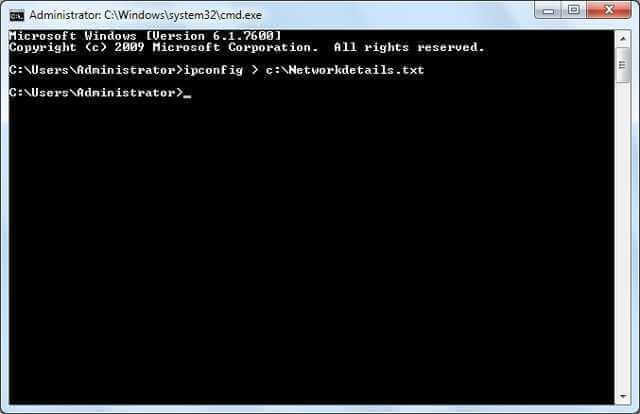 So in this article we are providing some excellent command prompt tricks and hacks that will make you forced to use command prompt tool. If you use command prompt then you must have known that you can not copy/paste in this tool and we always wanted this feature in command prompt tool. 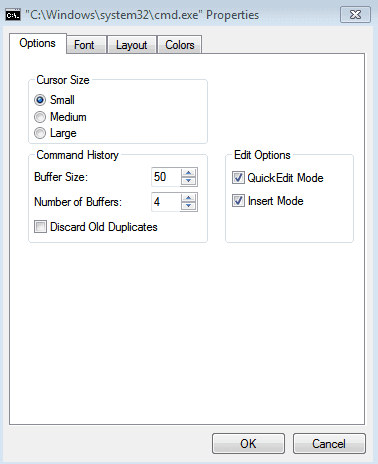 Normally user have to use the right-click context menu options to copy and paste text, but if you enable QuickEdit option then you dont have to use right-click context menu , rather than it you can do copy/paste by simply using shortcuts. To enable QuickEdit mode, just right click on command prompt title bar select properties. There you will see option tab in the properties window. There enable quickedit mode. And its done. Now you can select text by dragging your mouse pointer. When you are done with selecting text then just press enter and your selected text will be copied and a simple left click will paste the copied text in the tool. 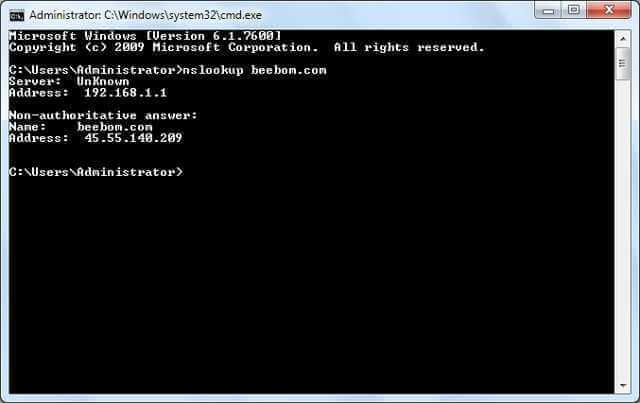 If you want to know IP address of your own website or any other website then you can do this thing in command prompt tool easily. You just have to enter command “nslookup website address“. For example if you want to find IP address of facebook then will need to write “nslookup facebook.com” without quotes, and then hit enter. So by using this command you can find IP address of any website. 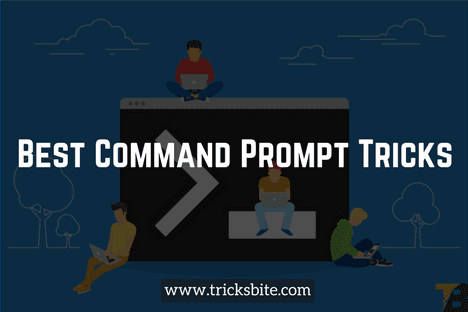 In case you want to execute one command after another and dont want to enter command again and again then you can execute multiple commands by using Command Prompt Tricks. You just have to put “&&” between each command. 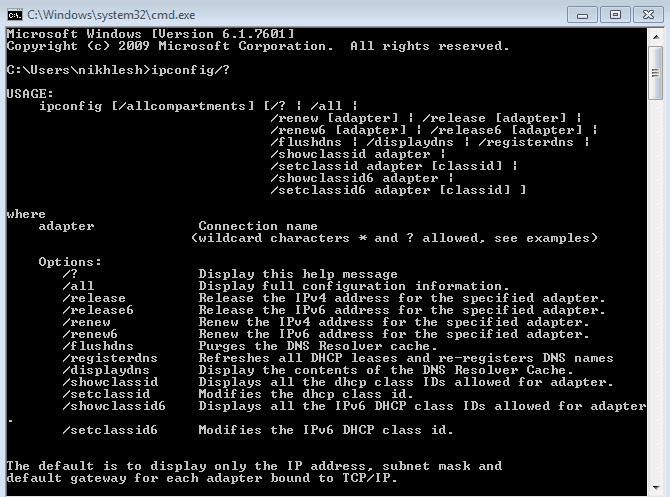 For example, you can enter “ipconfig && dir” to execute both the command one after another. That’s how you can execute multiple commands at one enter. If you are a newbie to command prompt tool then this is one of the life saving Command Prompt Tricks. If you know any command but are not aware of its usage then you can know about this specific command by getting help for it by entering a suffix “/?” to that command. For example, you can enter “ipconfig/?” and hit enter, now you will get all info about this command on your command prompt tool’s screen. Many times we accidentally delete out important files or folder that we wish to not to delete. But you can make a undelete-able folder by CMD Tricks. To create such folder you just need to enter specific set of keywords. In the command prompt tool, just type name of the drive where you need to create the folder (it should not be that drive where windows is installed) and then type any of these keywords given ahead “md con\” or “md lpt1\” and then hit enter. Now you should see something like this “D: md con\”. This process will make a folder with the same name that could not be deleted or renamed. If you need to delete this folder then replace “md con\” with “rd con\” or “md lpt1\” with “rd lpt1\”. In any case if you want to save any command’s result in the format of .txt then you can do this by using Command Prompt Tricks. All you have to do is add “> (destination/file name with .txt extension)” at the end of that command where you are about to execute. For example, you can enter “ipconfig > c:\Networkdetails.txt”, now this command will create a .txt file in C drive of your system with name “NetworkDetails“. If you wish to see all the drivers installed on your PC then you can see them by just entering a command on command prompt tool. You just have to enter “driverquery” in the command prompt tool then it will show you c list of all the drivers installed in your PC. You will see them in the format of Name, type and link date. If you are bored working with old dull looking command prompt then you can change its color by using Command Prompt Tricks. To change color of the tool right click at the top corners of Command Prompt and then select Properties option from the menu. Then, in the properties, go to “Colors” tab and then you will find all the options there to change color of text and background both. If you are tired of that old title bar’s text then you can change it easily by using CMD Tricks. Suppose your name is John Smith and you want to display your name on title bar of command prompt tool then you need to enter Title property of John Smith and after hitting enter command prompt tool’s title bar will be changed automatically. This change will not be permanent, next time whenever you will open command prompt tool again then title bar of tool will remain in original state. If you are a regular user of command prompt tool then you must be know that it is very annoying executing the cd/chdir command again and again to get to that directory which you want to open and work. But Command Prompt Tricks make this task super easy for you. You can open command prompt tool’s window from any location. 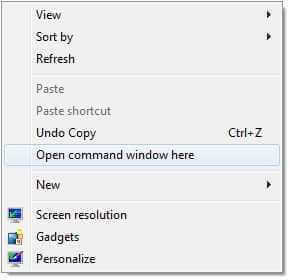 Once you are at the location where you want to work and open command prompt tool then hold down the Shift key while press right-click anywhere in the folder. Now a menu will pop up and you will see an entry that is not usually there: Open command window here. Just click on that and you will start a new instance of the command prompt tool, ready and waiting at the right location. If you want to compare two text files then you can do this task by CMD Tricks. For this, you need to type “FC” command and then type directories of both text files (Compared files must be in .txt format) and then hit enter, now you will get comparison of both files with answer such as, files are different or both the files are identical. For example, you can type “fc C:\nikhlesh\sample1.txt C:\nikhlesh\sample2.txt”. In this example “C:” is that drive where text file is located, “nikhlesh” is the name of folder in which text files are located and “sample1” is the name of compared text file. Both the compared files can be located anywhere in your PC, you just need to enter right directory. 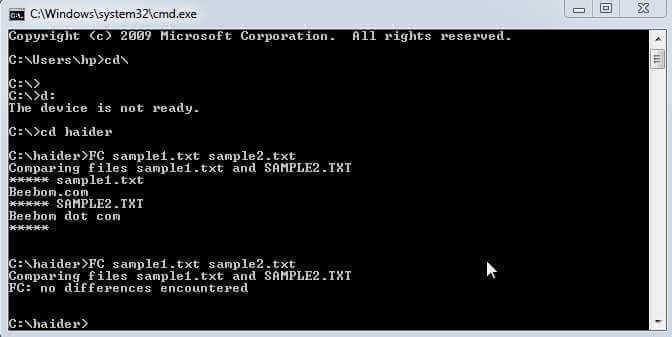 Thus you can compare two text files in command prompt tool. However the results will not be good as third party file comparison tool available but it is worth trying and it would be fun to do. To watch the movie you just have to enter a command in command prompt tool and then movie will start on tool’s screen. All you need to do is type “telnet towel.blinkenlights.nl” and then hit enter. Now the movie will be start automatically. 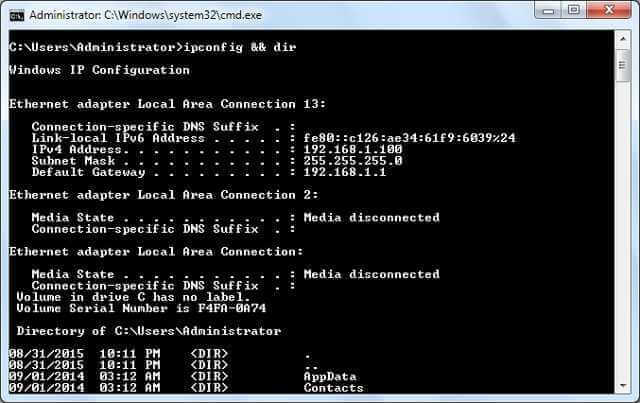 If you are working in command prompt tool and you want to copy the exact path to any folder or any file to run the file or change the present working directory then you can simply drag and drop the file or folder in the command prompt tool. After dropping path of the dropped file or folder will show up in quotes. To stop hotspot you will need to enter “netsh wlan stop hostednetwork“ command. 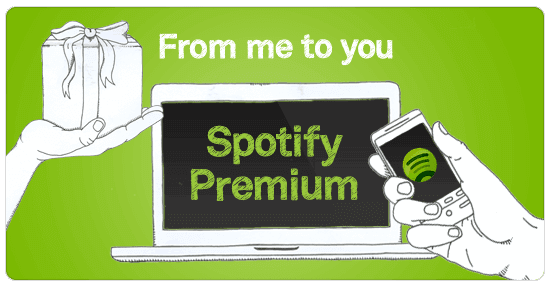 Note that you will also need to share your internet connection to the hotspot so that everyone can use it. For it you will need to head to Network And Sharing Option from the control panel of system. After that click on Change adaptor settings in the left panel. Here you will need to right click on internet connection you are using and now click on Properties. In the properties option go to sharing tab and check the option “Allow other network users to connect through this computer’s internet connection. 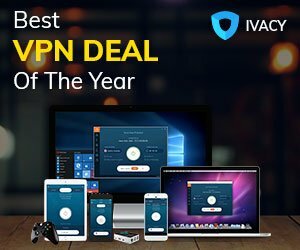 Now your internet connection is available for sharing. This is also one of the cool Command Prompt Tricks that you can try. You can shut down or restart another computer remotely on your network from command prompt tool. 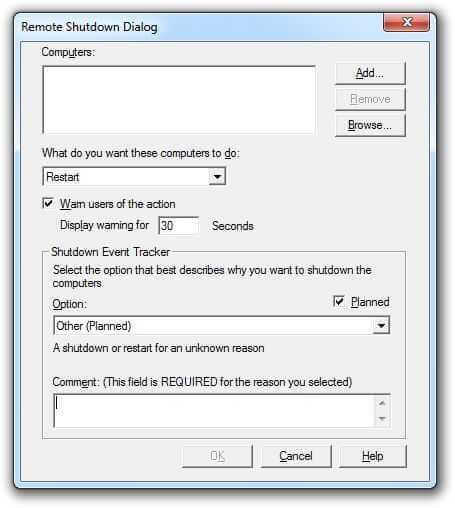 All you need to enter a command shutdown /i which will open remote shutdown dialogue. You just need to enter name of the remote computer which you can get by running hostname command on other PC. Now choose what you want to do with another computer and then click OK. So by this trick you can easily shutdown or restart another computer remotely. If you want to take backup of your software and applications then you dont need to install any other third party app. You can do this task easily by CMD Tricks. All you need to execute command robocopy c:\users\ellen\documents f:\mybackup\documents /copyall /e /r:0 /dcopy:t /mir In this command replace the source and destination folders with you want to take backup and where. So this command will make a backup on your desired location. 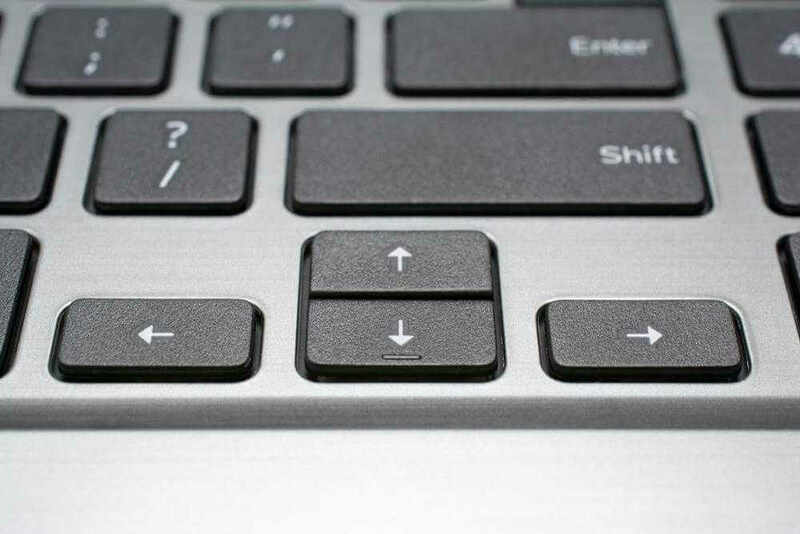 You can access last used command with the arrow keys. This might be sound weird but sometimes arrow keys can be life saver. Suppose you are writing a command of 70 characters and you hit enter and then you realize that you forgot to add an option at the very end. Then you need to type whole command again but you can just press up arrow and entire command will be entered in tool and you can make edits to it now. So all are these Command Prompt Tricks those can make your work easy and productive on command prompt tool. 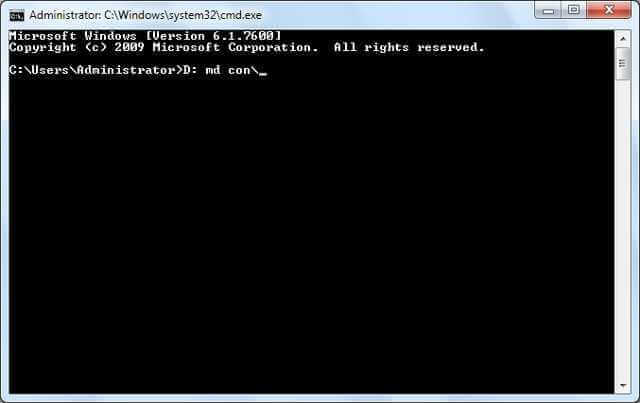 If you are working on command prompt tool for years and know any other CMD Tricks then share it in comment section. If we like it then we will add it in our list. Share this post on social media if you found this post useful. 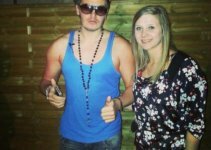 Know How to Make Selfies With Dorian Rossini?